Writing and publishing an ebook is a great way to establish your personal brand, market your business, and generate some passive income. In short, because it’s hard. Anyone can write an ebook. But not everyone has the dedication and knowledge to write a good ebook that’s worth publishing, distributing, and promoting. Successfully writing and selling an ebook requires a lot of steps. Which is why we’re laying out the process for you here. We’ll walk you through each step, from figuring out what you’ll write about to marketing and promoting your ebook. Along the way we’ll cover things like formatting, choosing a platform, and pricing. There’s a lot to cover, so let’s get started. 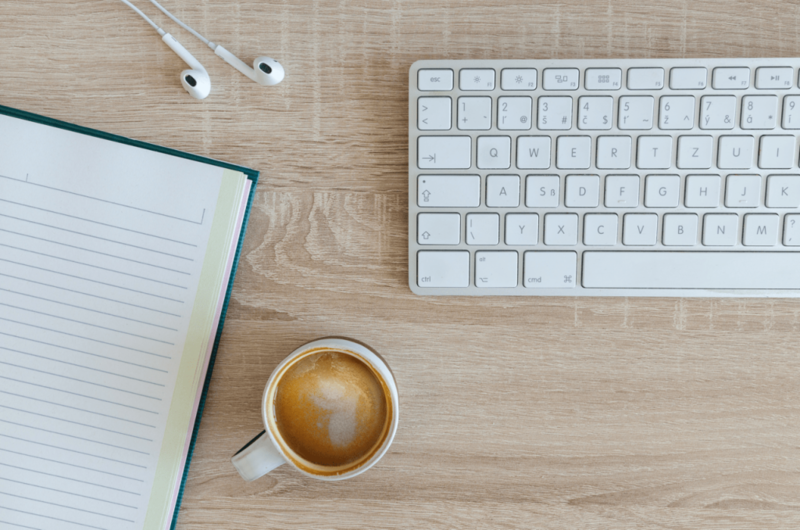 Okay, so you know that writing an ebook is great for marketing, branding, and all sorts of other things (including a fantastic sense of accomplishment). And you’re ready to get started. Before you do, though, there’s one big question you’ll have to answer. You might think you already know. You might say “plant-based eating” or “living a healthy life.” But you need to have a more specific plan than that. You need to show your potential readers the real value of your ebook. You get the idea. A specific focus helps people understand exactly what they’ll get from your ebook. If they know what they’re getting, they’ll be much more likely to buy it. The most important thing to remember is that your ebook has to provide a lot of value. It has to have actionable, practical information that helps people solve problems, understand difficult topics, or answer questions. Remember that people can find just about anything online for free. You have to give them something valuable to compete with those resources. Keep this in the back of your mind at all times. If your ebook isn’t providing a great deal of value in a convenient package, readers won’t buy it. But if you can create a valuable resource that puts a lot of information in a convenient place, structures it well, and offers a good price, you’ll sell copies. Okay, so you know what you’re going to write about. How do you actually start writing? The best way to do it is to use small steps. This is going to be a long process, so don’t try to rush it. If you’re feeling rushed, your ebook won’t come out nearly as well. And that’s bad for your reputation (and sales). Instead, give yourself plenty of time to go through each step, starting with outlining. An outline guides the writing process and ensures that you stick to your original idea. It’s easy to get sidetracked and start writing about something unrelated to the main topic of your ebook. An outline will help. That’s a very simple outline that will help you stay on task and get your ideas down in a logical order. There are, of course, plenty of other ways to outline. 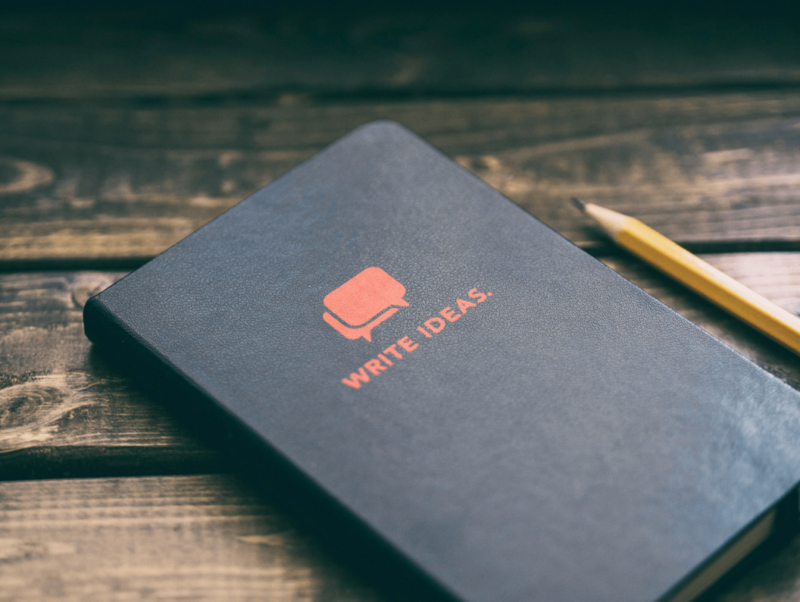 Self-Publishing School has a great article on taking an outline from a mind map to a concrete plan that will show you how to get a lot of ideas down and turn them into something useful. The outline can be as detailed as you like. I usually use a pretty loose outline, because I know that my best ideas come to me after I’ve already started writing. Others use outlines so detailed that they only have to turn their ideas into sentence form to create an ebook. Experiment with a few different methods of outlining, and you’ll find one that works for you. Once you’ve outlined your ebook, you’re ready to start writing! Sit down with your outline on a regular basis and write. It’s best to write daily, even if a little bit. You’ll build up momentum and stay in the habit. Both of these help you create the best writing possible. At this point, don’t worry about editing. This is a crucial point. It’s easy to get caught up in making your writing as good as possible. But this is not the time to do it. When creating a draft, your priority is to get as much writing done as possible. Not for it to be the best writing you’ve ever done. In fact, the writing in your first draft should be pretty bad. This is the time to get your ideas on paper. The act of writing will help you come up with more ideas, so just keep going. You can write your book using any software you like. We’ll get into a few specific tools in a bit for formatting the final product, and you may want to use those to write as well. But for now, don’t worry about formatting. Just get words on the page however you can. This is a tough question you’re going to have to deal with. How long should your ebook be? How short can it be to still be called an ebook, and not a PDF download or a guide? Unfortunately, there’s no specific answer. Your ebook should be as long as it needs to be, and no longer. It also shouldn’t be shorter. One of the best ways to see how long your ebook might be is to read some books that are similar to the one you’re planning on writing. Download a few from Amazon, check some out from the library, or head to a bookstore and take a look at what’s on the shelves. When I asked some colleagues how long a piece of content has to be to be called an ebook, I got a wide range of answers. There’s no word count you need to hit. Just make sure that you’re presenting as much value as possible. And keep it concise. You’re not supposed to judge a book by its cover . . . but many people do anyway. So you’ll need a great cover. You can use any program to design a cover, including built-in features on the Kindle Direct Publishing platform. But your cover is your first chance to grab your audience’s attention. So it’s worth hiring a professional to do it. Using a freelancing platform like Fiverr or Upwork will help you find a graphic designer. Just be sure not to pay bottom dollar for it. You’ll get bottom-dollar results. Editing is one phase of ebook writing that you might underestimate. You might think that great writing makes a great book. In some ways, it does. But great editing is possibly more important. Even small grammatical or punctuation errors can cause readers to pause. And you want to avoid that. If they’re thinking about your writing, they’re not thinking about your message. You can certainly edit the ebook yourself. Many self-published authors also self-edit. But be warned: self-editing is very difficult. If you decide that you want to tackle the task yourself, Heidi Thorne has a list of self-editing tips that will help. However, you should at least consider hiring an editor. A professional editor will see the issues in your writing and help you craft a book that’s easy to read. They’ll find inconsistencies, tell you where you need to clear up your message, and make suggestions for improving the overall flow of your work. And, of course, they’ll find grammatical errors that you didn’t know you made. Not sure where to find a professional editor? Start with a search online. 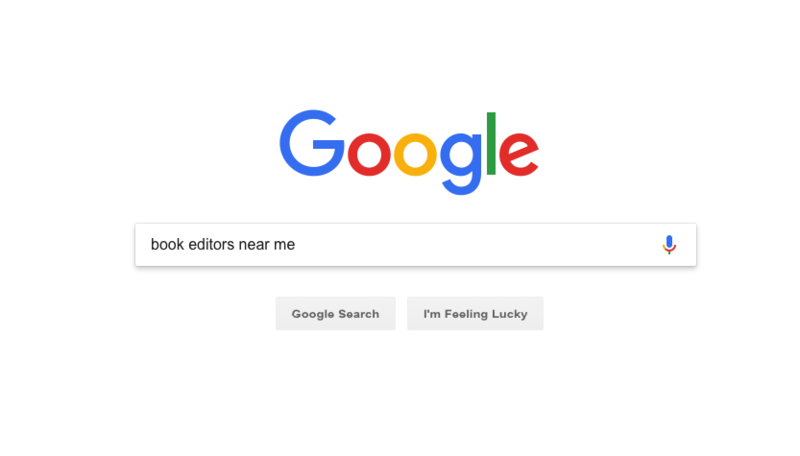 Search for “book editor [your city]” and see what comes up. You can also use a service like Upwork, Freelancer.com, or Guru, but it’s difficult knowing if you’ll get quality work. If you can’t afford an editor, at least have a few people read your ebook before you publish it. Your friends, family, and colleagues will almost certainly be happy to take a look for any sections that need help. Of course, if they find issues, you’re going to need to use your self-editing skills to fix them. And again, that’s difficult. No matter how you decide to have your ebook edited, make sure it’s in absolutely top-notch condition before you publish it. Ebooks come in many formats. Depending on the format you decide to use, you’ll need different software to create your final product. Here are a few formats to consider and information on the software you’ll need for each. There are tons of different apps that you can use to create these types of ebooks. But don’t focus on the tool—focus on getting the best result with your formatting. This gives you some limited options for branding and design—you can use your word processor to include a logo and manage your text styles, but that’s about it. Still, if you’re giving away an ebook or part of one, this is a perfectly acceptable format to use. And the fact that you can make one so easily is definitely a plus. If you want people to be able to read your ebook on an ereader, you can’t go wrong with the EPUB format. It’s supported by every major ereader out there. And it’s easy to read on a computer or tablet, too. Creating an EPUB isn’t quite as easy as a PDF. Apple’s Pages app, a simple word processor, lets you export EPUBs, so if you’re working on a Mac, you have that option. Possibly the best option for creating an EPUB—and any ebook in general—is Scrivener. The app was created specifically for people writing books, screenplays, and other long works. It lets you manage sections of your work individually or as a whole, and has a huge number of features that will help you write your book. We won’t go through all of the benefits here. But Nick at Write Hacked has a great post explaining how he exports documents from Scrivener. That’s a good place to start if you want to create an EPUB. You can also convert a PDF to an EPUB with Calibre, one of the best apps for managing your ebooks, both as a reader and a writer. There are several other file types that you may consider. MOBI is a relatively common one, as is Amazon’s AZW3. Unless you have very specific requirements for your book, choose either PDF or EPUB. It’ll save you a lot of hassle without losing many features. No matter which format you choose, make sure to look through every page of your ebook after you’ve exported it. Ebook formatting can have some strange results. You’ll want to fix those before you publish. Hint: if you’re having trouble getting the results you want, make sure you’re using styles when you write your draft. In Microsoft Word, they’re in the Home tab under Styles. In Google Docs, they’re to the left of your font selection. You can also use Markdown to format your ebook (this makes it easier to convert into multiple formats). You can certainly create your own ebook from scratch. But why not take advantage of someone else’s expertise instead? There are plenty of ebook templates, both free and available for purchase, that will help you get a professional-looking book. If you’re working with Microsoft Office, HubSpot’s collection of 13 ebook templates for PowerPoint is a great place to start. These are perfect if you’re looking to create a PDF ebook. A great half way point to using a template and creating one yourself from scratch is to use Canva. It allows you to design an ebook online yourself. For other templates, run a search and you’ll find plenty of options. You now have a complete, professional-looking ebook! That’s a huge accomplishment. Take a moment to revel in it. Done? Okay, now it’s time to get practical. You need somewhere to sell your book. Maybe more than one. Control over your pricing is a big one. You know your audience, and you have the best idea of what they’ll pay for your book. You’ll also want a platform that doesn’t take a big chunk out of your profits. You worked hard on this book, and you should get paid for it. We’ll talk more about royalties in a moment. Maybe most importantly, you want to sell via a platform that makes it easy for your readers. If they have to jump through lots of hoops, sign up for new services, or give away a lot of personal information, they may decide not to make the purchase. One of the most popular publishing platforms for any type of book, the Kindle store is full of self-published ebooks. And it makes sense. Amazon is the most popular bookstore on the internet, and Kindles are the most popular ereaders. That’s a huge bonus. Publishing on the Kindle store means your ebook will be in front of millions of potential readers. Kindle Direct Publishing (KDP) also makes it easy to upload, format, and price your book. And Amazon offers two different royalty options: 35% and 70%. In almost every case, you’ll choose the 70% option, which means you get to keep over two-thirds of the cost of your book. That’s not a bad deal. In general, making your ebook available on the Kindle store is a no-brainer. 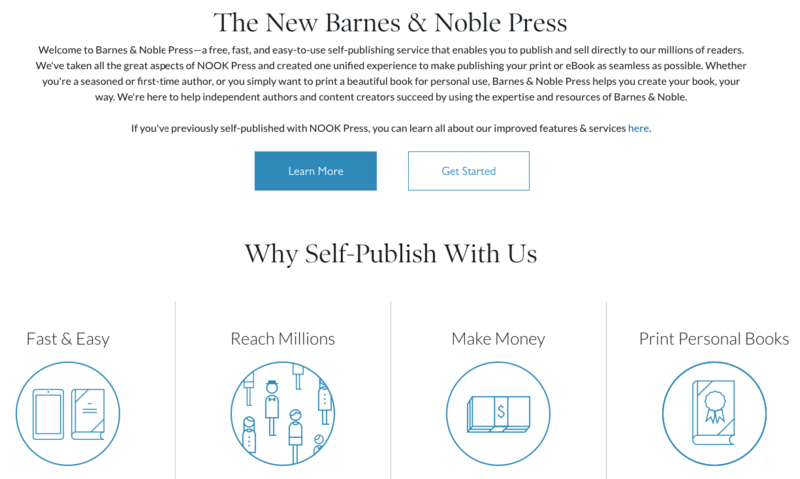 Barnes & Noble is one of the most popular bookstores in the country—and using their distribution network will help you get your ebook in front of even more people. You won’t get as much exposure as you will with Amazon, but using the two in conjunction will get your ebook in front of a huge number of people. Like KDP, Barnes & Noble gives you the tools you need to create a professional-looking ebook quickly and easily. You’ll notice that books over ten dollars get you the same royalties as books between three and ten dollars. That’s a big advantage over Amazon if you’re looking at selling a more expensive book. Of course, there are many other platforms that you can sell your ebook with. Each has distinct advantages and disadvantages. Most of these platforms will require that you do a lot of your own marketing to get your ebook in front of your readers, for example. All of this means that if you sell a lot of ebooks, you’re going to make a lot more money. Independent platforms like Payhip might also give you the option of flexible pricing, like pay-what-you-want systems (interestingly, these can increase revenue in some cases). And they let you control your customer data, which can be very useful. These platforms are also great for people who don’t feel particularly tech savvy. It’s easy to set up a way for customers to buy your ebook from your website. Or you can sell without a website! You can reach out to people through Facebook, Instagram, or any other social network, too. No matter how you connect to your audience, independent platforms will help you make sure that they can buy your book. You might even manage selling your ebook without a platform; you could use a PayPal gateway to accept payments and then email out your ebook, for example. There are lots of ways to sell your book. Choosing the right one comes down to what you need and what your audience wants. I briefly mentioned pricing above. But I’d like to bring it up again, because it’s an important factor in determining whether people will buy your book. And figuring out what the right price is can be complicated. David Kudler has six things to consider when pricing your ebook, and that’s a great place to start. But it largely depends on your audience and what they’re willing to pay. You’re the best person to assess that, so go with your instincts. And in the end, you’ll probably choose multiple platforms to sell your ebook. You might use PayHip to sell the ebook directly from your website for a higher margin and also have it listed on Amazon to increase your reach. You could have it on the Apple Books Store for iOS users, too. Take some time to compare features of different platforms and decide which works for you. Now that your ebook is available for purchase, you need to tell the world about it. It’s time for marketing. This is one of the more difficult parts of successfully selling your ebook. There’s a lot of noise out there, and millions of ebooks are competing for readers’ attention. You need to find a way to make yours stand out. 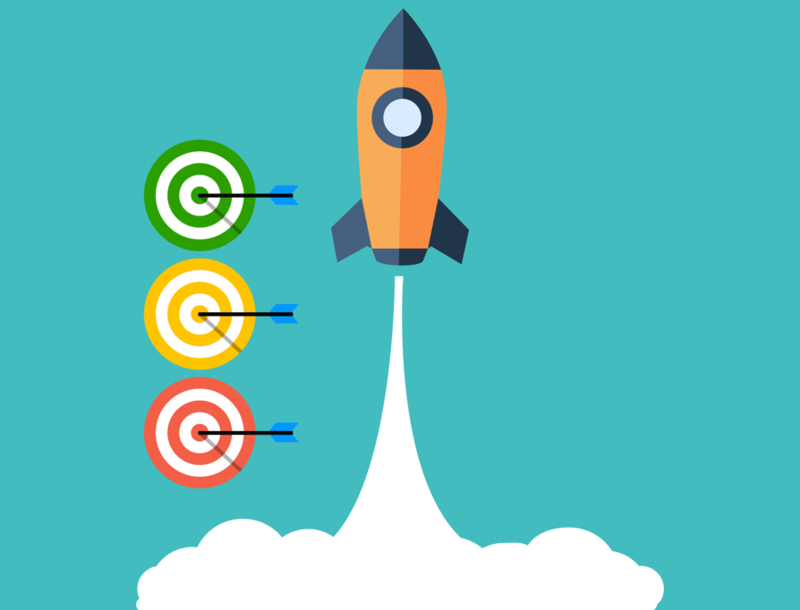 It’s a good idea to start with a launch strategy. You’ll want to make a splash when you launch your book. If you have industry connections, or attend events where potential readers are likely to be, that’s a great start. After your big launch, you’ll want to continue promoting your ebook to get people to buy after the initial buzz dies down. Being active on social media, for example, will increase your visibility and get people interested in your work. Continue going to events and sharing your expertise. Send out copies to reviewers to get good press. Answer requests on Help A Reporter Out to get your name out there. And, of course, continue letting your audience know that you have an ebook for sale. If they’re coming to your website for recipes or workout plans or whatever else you’ve made a name for yourself with, feature your ebook prominently so people know it’s available. You could offer a free preview of the ebook in exchange for an email address that you can then add to your email list, or post the first chapter on your website to get people interested. 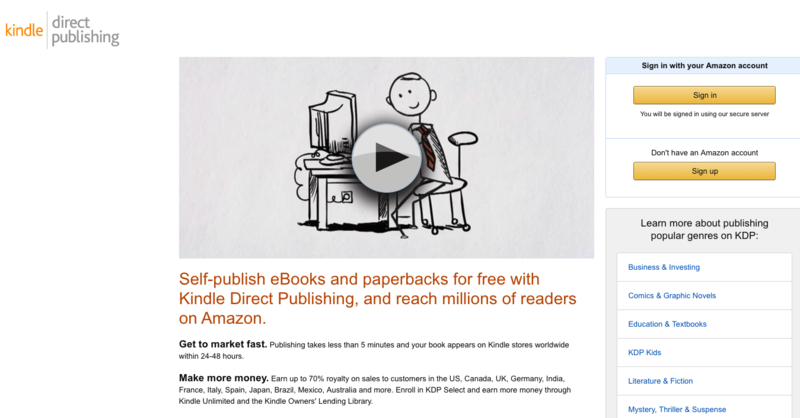 There are enough ideas for ebook promotion to fill up an entire ebook (if not more). So there’s a lot I can’t cover here. But you get the picture. Get your ebook out there to as many people as you can in as many different ways as you can think of. As you can see, creating and selling an ebook is a complicated process. From choosing a topic to creating a promotional plan, you’ll have a lot to do outside of writing. And even the writing can be difficult. It’s time-consuming. And it can be tough. But writing and publishing your own ebook is a great accomplishment. Even outside of the business benefits it has, being a published author is a great feeling. The most important thing to do is to just get started. Start thinking about what you might write about. Jot lists and notes whenever ideas come into your mind. Talk to people about what they’d find valuable and what they trust you on. Make connections that might be useful in promoting an ebook later. Meet new people in different industries. Keep an eye on which books are selling well and think about how you can do better or approach the topic from a different angle. Whatever you do, don’t rush it. You could write an ebook in a weekend. But I don’t recommend it. Great books take time to percolate and take shape. That being said, the crucial step is to get started. You absolutely can write a book. You can publish and sell it. And you can make a name for yourself. You just have to get started. If you have any tips or ideas on how to write an ebook, let everyone know in the comments!